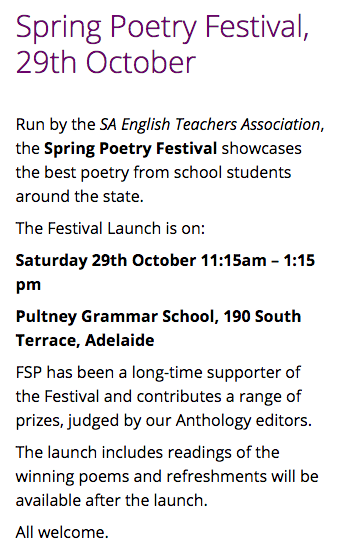 SAETA has invited me to help launch an anthology of South Australian high school students’ poems this Saturday. I’ve written an introduction to the excellent collection. As guest poet on the day I’ll also be talking on the subject of “Why write poetry anyway?” I’ve previously been asked to judge the competition as well. It should be a good day!